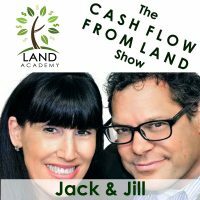 Steven Butala: Today, Jill and I talk about how to market land by Landio.com. It’s a site by one of our members who’s been with us probably almost two years now and it’s truly extraordinary. I can safely say he is absolutely a thousand times better at marketing than we are. Steven Butala: He came to us with marketing experience and just applied the real estate knowledge that he took from us and applied it to his website and how he sells property. It’s staggering. We’ll actually on youtube itself here, look at his site and talk about it. Jill DeWit: We’re going to screen share, so if you’re driving, don’t jump over and watch us on YouTube but later on you might want to check it out because it’s really good. Steven Butala: A vast majority of people that listen to the show don’t watch it. I will make sure it works for that medium also. Steven Butala: Before we get into the topic though, lets take a question posted by one of our members on the landinvestors.com online community. It’s free. Steven Butala: We answered this question on the closed weekly webinar for our members last Thursday, but I’ll answer it again for the public. Heck yes. Steven Butala: Jill and I buy property from non-profits and churches all the time. Jill DeWit: Usually how they get it, it’s donated to them by people. They get it for free, they’re not out buying it like somebody. Usually it’s left in a will, if anything and nobody wants it, please donate it to the church, or they do it before that or whatever the reason. It’s a nice little profit for the church when they turn around and sell it. A church, an established church, is tax exempt. The property that they own in their name, is that tax exempt, too? Jill DeWit: Because you’re not a church when you acquire it, that does not apply to you. You will have to pay taxes. I love that the tax exempt thing came up, but that doesn’t mean when you buy it you’re now tax exempt because you bought it from them. That’s a no, unless you want to become a church, then that’s a yes. Steven Butala: It’s not just churches, it’s all nonprofits regardless of denomination. It’s a tax status, not a religion thing. There’s a lot of hospitals and healthcare systems that are nonprofit like Sisters of Mercy and on and on and on. I’m not picking on them, but there’s just tons. When you really think about a large hospital in an urban area and what they would actually be taxed. Let’s say there are two hospitals right next to each other, one’s for profit and one’s not. Think of the financial advantage, I mean, it’s millions of dollars a month. I just read an article about six months ago about, I think it was Harvard, which is a nonprofit, one of the Ivy League schools that’s nonprofit in Boston and it’s killing the city that it’s in, the little town that it’s in. Jill DeWit: So where does all the tuition money go? Steven Butala: I’ll try to do this really fast. Nonprofits look at year over year, they look at a “change in assets,” air quotes. They don’t look at how much money they make and then divide it by shares like a for profit company. For profit is all EPS, earning per share, nonprofit is all increase in assets. Jill DeWit: So where does all the money go? Steven Butala: It stays in there. It stays in there and their assets get bigger and bigger and bigger and they spend it on whatever. Jill DeWit: They need a new building, they have the cash. Jill DeWit: To work on the football team. Steven Butala: I hope they don’t. Jill DeWit: Seriously, they can. Steven Butala: I hope they hire better professors. I hope they increase the quality of the education. Not just Harvard, but anybody. Jill DeWit: Exactly. That’s way off topic. Steven Butala: I know. Well, nonprofits, so anyway if Harvard University is in the data you pull, send them a letter, for sure. I can’t count the number of nonprofits. Jill DeWit: I like buying from churches, they don’t know what it’s worth, they’re happy to get an offer. Steven Butala: Their base is zero, they want some cash. Jill DeWit: No matter what, it’s all gravy for them. They say, “Hey, you know what, I’ve got a guy that wants to pay $1,000 for this.” Usually how it goes is there’s often a board and whatever your offer is, it’ll go before the board. They’ll make a decision and it may take a week since ’cause they only meet once a month kind of thing, no big deal. They accept your offer, the next month they meet, is when they’re gonna all get together and sign it. It’ll take a little bit but no big deal. But it’s awesome. Steven Butala: Who’s the largest land-owner worldwide? Steven Butala: That’s right! Catholic Church. I guess we talked about this. Jill DeWit: I guess we did. Steven Butala: Probly 50 times now, I don’t remember. Steven Butala: It’s all ’cause of what we’re talking about. Steven Butala: So, the largest land owner in the world doesn’t have to pay any property taxes. Jill DeWit: How great is that? Jill DeWit: Well, for them, that’s what I mean. Steven Butala: How ’bout just a 50% reduction? Not tax free. Jill DeWit: How ’bout today’s topic? Steven Butala: Oh, okay. Today’s topic: How to market rural vacant land by landio.com. This is the meat of the show. Jill DeWit: You have a lot of ranting goin’ on this week. Steven Butala: You know what? Just kick me. Steven Butala: Landio is owned by a guy named Tory. He has tiny little children. His father was loosely in the land business. Bought a lot of property and had to sell it at reduced costs for a lot of economic reasons. It really stuck with him as a child. So, he came to us after trying to buy and sell houses like many, many people do. Buy and renovate and sell houses, many people come to us with their tail between their legs because it just doesn’t work like it does on TV. This guy just is killing it. If you go to Landio.com, if you’re on the YouTube, I’m gonna put it up on the screen here, and you realize what he does, it’s truly amazing. He did the website himself. He interviews, its very basic, he interviews the people who purchased the property and why. He’s an end-user seller, he doesn’t wholesale property like we do. You can see here on the screen he’s got a video of couples, and brothers, and people who purchase land from him. What I really want to talk about is the flyover videos that he does are top notch. It’s him narrating, and he’s got a template so every property is the same, the template for reviewing the property’s the same. He puts it on YouTube and all over social media and he sells every single property. Every single property. And he does it in a timely manner. He’s only got five properties for sale right now on his website, and if you go all the way to a different section you can see what he’s sold. He’s got tons, and tons, and tons of properties that have sold. Jill DeWit: And work on it together. I’ve seen a lot of our members work together on this project very successfully. The whole point of this, too, is, we all know how to buy it. We’re buying it right. Now, we need to market our properties. You don’t need to be reinventing yourself. Just copy what somebody else is successfully doing. That’s the point of it. You have all the little boxes you need to fill in so you know all the pertinent information that needs to be provided for someone to look at your property and make an educated decision and purchase. That’s a great template, so however you want to do it, start with that. Copy this person, there’s so many great people in our community, just go to Landpin and see who has a lot of property, see who’s property is moving, that’s all you wanna do. Go immediately follow over to their website. Maybe it’s Tory, maybe it’s Luke, maybe it’s Kevin, maybe it’s somebody else, maybe it’s us. And copy it, and do that. And don’t beat yourself up trying to reinvent the wheel and one-up everybody. That’s silly. Really? What about your website? What about Landpin? Jill DeWit: What about LandWatch? What about social media? Steven Butala: Have you done a video? Jill DeWit: Are you doing this? Are you doing that? That’s usually where people drop the ball, too. And then, the final point I have, too, about marketing raw vacant land is once you have all this, you go through the motions with a couple of properties, now you’ve created yourself a nice little checklist. Now you know every property that comes in, it took me a video so I better start now, or hire it out. You could do that, too. Steven Butala: You’re very kind. Steven Butala: You’re just very kind, because I’m not gonna be so kind in a minute. Jill DeWit: Oh, you yell at people over this? Jill DeWit: Create yourself a checklist and follow your steps. Have it done, in a perfect world, the day the signing is happening. Steven Butala: Pre market it even before you open it. Jill DeWit: Have it ready to go. Jill DeWit: So the day they sign it, you can push the button that it’s available to sell, and hopefully by the time you get the deed back it is sold. ‘Cause sometimes that happens. What’d you want to add? Steven Butala: The whole premise that Jill and I built Land Academy on, we built it on this concept. If you know how to buy undervalued real estate, that’s the end of the sentence. If I have to explain why buying cheap property is valuable or how to sell it, or if we have to sit down and really talk about selling property that is undervalued and priced right, there’s something really wrong. Jill DeWit: Right. It speaks for itself. No one’s ever asked me that. Jill DeWit: Correct, because we know that. We cover that, we share that. Steven Butala: But we get too many questions about selling it. Steven Butala: And the answer’s never been, “Oh, you paid too much.” It’s always been, this: You’re just not trying hard enough to sell it. If you listened to yesterday’s show, or maybe it was two days ago, if you’re having trouble selling real estate it’s ’cause it’s not at the top of your list. You’re an acquisition person, not a salesperson. I’m very familiar with that ’cause I am an acquisition person and am lucky enough to be with a partner that’s a sales person. Steven Butala: If you’re like that, find yourself a sales partner. Jill DeWit: There you go. I love it. Steven Butala: Was that ranty enough? Jill DeWit: No, it was good. Great job. Steven Butala: Well, you’ve done it again. 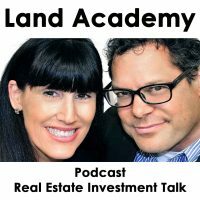 You’ve spent another 15 minutes or so listening to the Land Academy Show, join us next time, where we discuss finding your zen investor inside yourself. Steven Butala: That’s a topic for you, sweetheart. Jill DeWit: That’s going to be funny. And we answer your questions posted on Landinvestors.com. It is our own online community and it is free. Jill DeWit: Where’d you come up with that topic? Steven Butala: Which one? The zen one? Steven Butala: You know what? We talk about real estate all the time, we have to talk about something else. And because you have your zen investor all aligned perfectly. Jill DeWit: Thank you, sweetheart. I spend time every day spend time to connect with my inner self, my inner land selling and buying self. It’s very important. It’s a very spiritual thing. I meditate on it every day. We’ll cover it. We’ll cover it all. Share the fun by subscribing on iTunes. Or YouTube. Or wherever you are listening or watching, and while you’re at it, please rate us there. Together:: We are Steve and Jill.